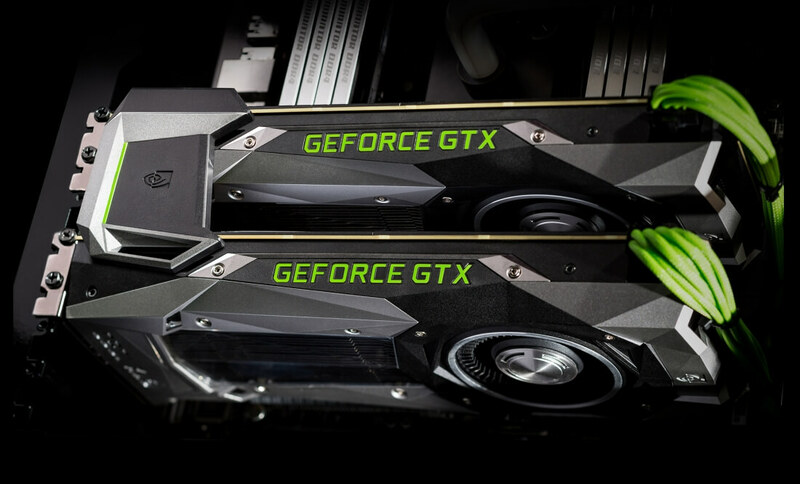 When Nvidia announced the GeForce GTX 1080 and GTX 1070 on Friday, there was a bit of confusion surrounding the "Founders Edition" cards that were listed alongside standard cards at a higher price. The GTX 1080, for example, was shown as having two variants: a regular card with an MSRP of $599; or a Founders Edition with a price tag of $699. At the time, many speculated that the Founders Edition card would be specially selected to provide better overclocking performance, or that it would be factory overclocked by Nvidia themselves. As it turns out, the Founders Edition is not nearly as special: it's just a standard reference designed card. So why would you want to spend an extra $100 (or $70 in the case of the GTX 1070) on the Founders Edition card when it doesn't provide any real performance advantage? Well, that's a good question, and Nvidia has some interesting answers. Basically, Nvidia feels as if their reference design is the best version of the GTX 1080 and GTX 1070. They want to have their design on the market for the life of the card, which is why you'll be able to purchase Founders Edition cards from Nvidia directly. At the same time, Nvidia doesn't want to compete directly with board partners, which is why partners can sell their variants of the card for less. If Nvidia sold their version at the same price as partners' versions, this would impact the sales of partners and their relationship with Nvidia. From this perspective it seems as though Nvidia knows the Founders Edition will be a niche product for people who aren't concerned about pricing and want the original design of these cards. It's almost a given that budget conscious buyers will get a better deal purchasing a custom cooled, factory overclocked card for a price closer to the MSRP than Founders Edition. However Nvidia does have one advantage up their sleeve, and that's timing. It seems as though you'll be able to get a Founders Edition card much sooner than a partner customized card, so if you really want a new GTX 1080 or GTX 1070 ahead of others, you can pay a bit more to get an early reference design. But like with previous launches, those who want a custom card might need to wait a few months before partners polish and deliver their designs.